In addition to the recent revelations of massive land compensation to connected government supporters revealed in the past few days, there are ordinary Belizeans still complaining about the shady dealings in the Ministry of Natural Resources. 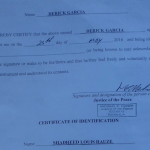 A case of out-and-out alleged thievery was reported to us by Cayman Islands resident Derick Garcia, who believes inside personnel in the department took advantage of a report he made to take his prime property in North Ambergris Caye away without justification. He shared his story with us today and News Five’s Aaron Humes has the report. He is a hard-working Belizean who hoped to retire on two prime pieces of real estate in North Ambergris Caye. 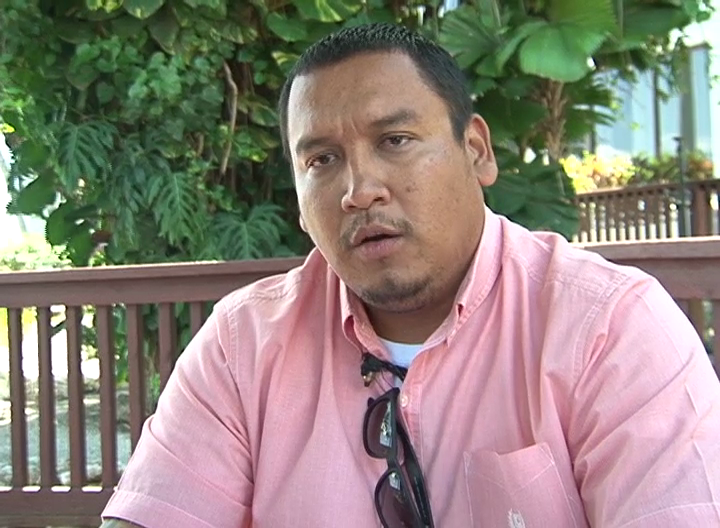 But Derick Garcia got shocking news on Monday when he visited the Ministry of Natural Resources and Agriculture in Belmopan. 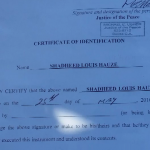 In short, one Shaheed Louis Hauze claims to have paid a total of forty thousand dollars for the entire property of just under a square kilometer or zero-point-two-four acres, located four to four and a half miles north of San Pedro Town. The exchange was even witnessed by a Justice of the Peace, one Michael E. Usher. Neat and tidy, right? Wrong, according to Garcia. 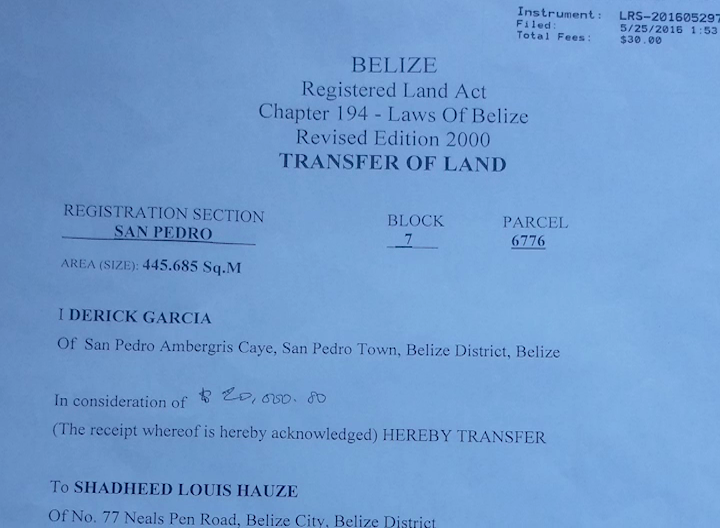 Garcia says he never picked up the replacement land titles because he had found the originals and he was in any event out of Belize. His contact here seemed to have difficulty getting the documents as well. But with the revelation of this massive theft, Garcia says he is ignoring the overtures of the Department and taking legal action. 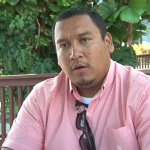 He wants other Belizeans affected to do the same. Now while we’re there, I understand that the people at Lands Department have been trying to contact you, basically saying give us a chance to fix it and noh go run to the media or anything like that. What would be your response? After our interview with Garcia, we contacted Usher whose phone number is on his seal. It turns out Usher is an employee of Barrow and Williams law firm. In our conversation he said he had not met either man and does not remember the details of the incident. He mentioned that he has done several of these types of transactions and even hoped that this one does not end like a prior incident that resulted in his censure by boss Rodwell Williams. He has requested to see the documentation in question but made no response since. We will continue to follow this story. And one Stann Creek man is claiming another kind of land irregularity. 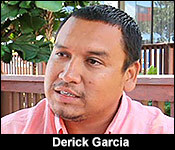 Derick Garcia - who lives and works in Cayman - but he's a Belizean who got 2 pieces of land on northern Ambergris Caye during the UDP's time in office. But he lost the titles, and applied for new ones back in December of 2015. 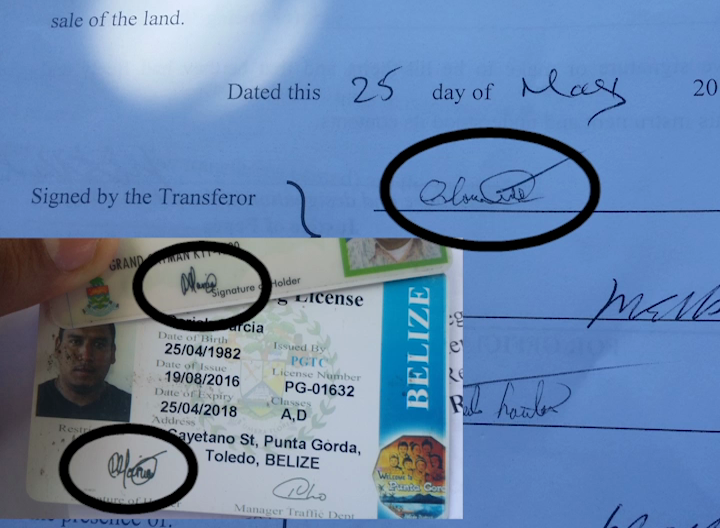 He went back to Cayman - and didn't know when someone forged his name and transferred the land to another person who he's never met. 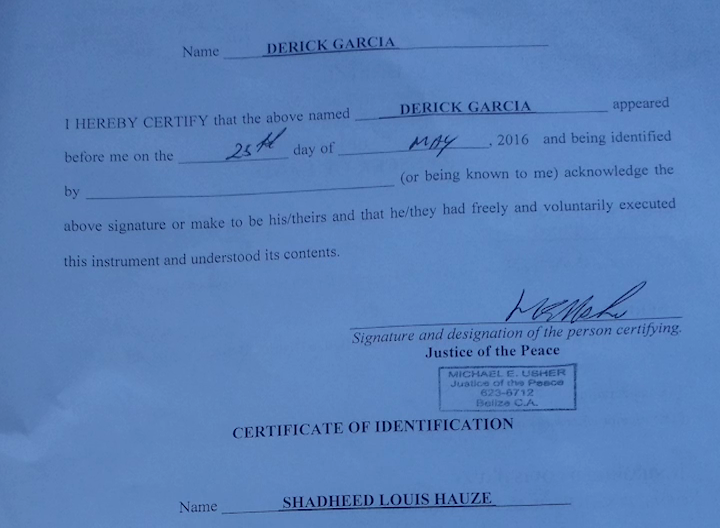 Garcia told the media his story today:..
"To my surprise I was informed that both titles are no longer in my name. I inquired about it at the front desk, I was told that the record show that I am no longer the holders of those 2 titles. 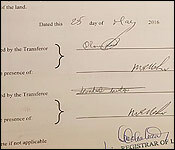 The land was indeed transferred on May 25th 2016. The transaction was signed off by the transferor which should have been me. The signature does not match mine." "So, your signature was forged?" "Yes, sir it was forged. Another thing that stood out was the fact that the justice of the peace, one, Michael E. Usher signed and witness that I was in his presence when this transaction was done." "That is false. 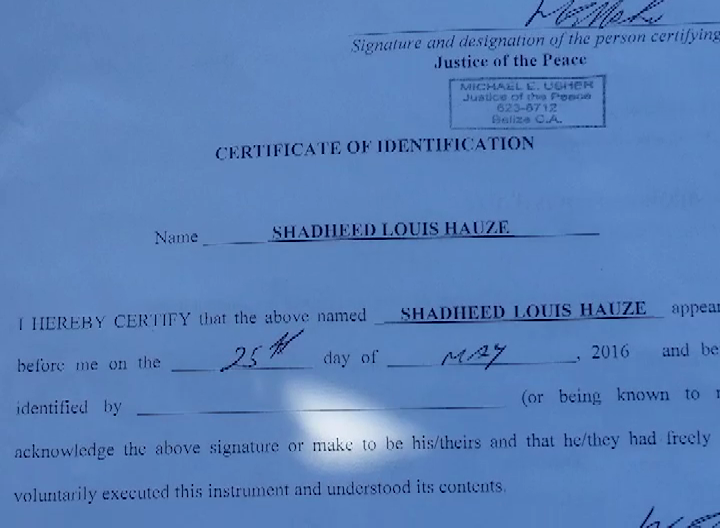 It is stated that the land was transferred to one, Shaheed Luis Hauze. I have never met this individual. I had never had any discussion with this individual. I don't even know this individual. 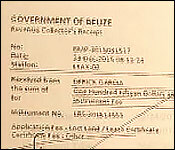 Secondly, I don't even know the justice of the Peace that witness this transaction." "So, somebody stole your land." "Exactly, somebody stole my land and again Miss Robateau went into the system and did couple queries and it can be traced back to individuals or operatives within the department. There was one certain employee that his name stood out. I am not at liberty to call his name right now but at the end of the day he will need to answer in a court of law why he perpetrated or actually did all of this? However, I must..."
"You believe it was an inside job?" "It is an inside job. I can confirm that it is. 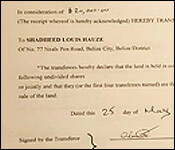 What is so blatantly arrogant about this is that the movement of all of this, transferring my land title, remember again I went into lands department on December 24th 2015 and all of this transaction happened with the certificate being transferred and a new land title issued took place from December when I went in to May 2016. Only a period of 5 months. This is unbelievable, unprecedented. 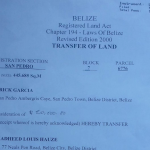 As a young Belizean and as somebody who has worked hard and has obtained these 2 properties in San Pedro, the legitimate way, it makes me feel bad about this country because it is unfair for hardworking Belizeans to lose land title because of corrupted individuals within the echelons of the department." Garcia says he's ready to take out a lawsuit against the Department if necessary.